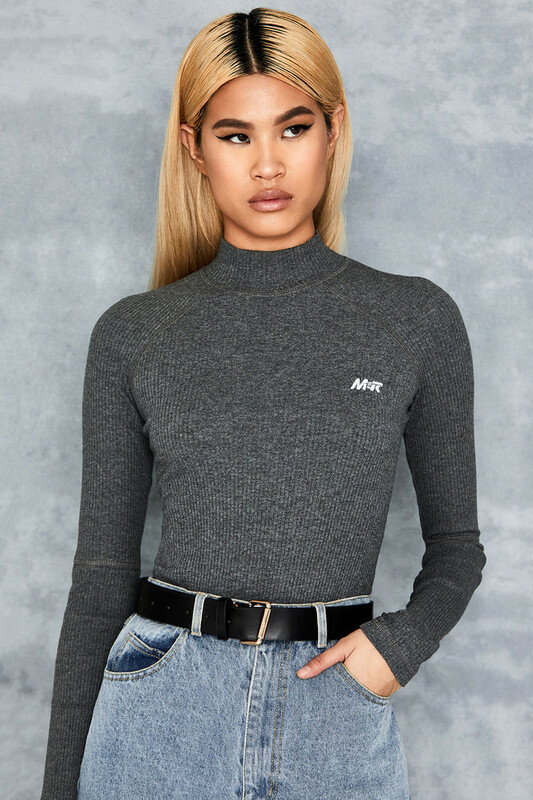 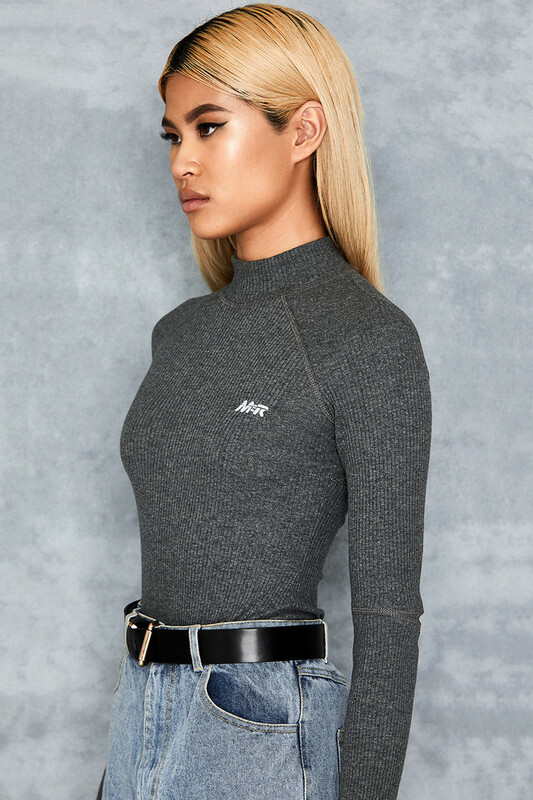 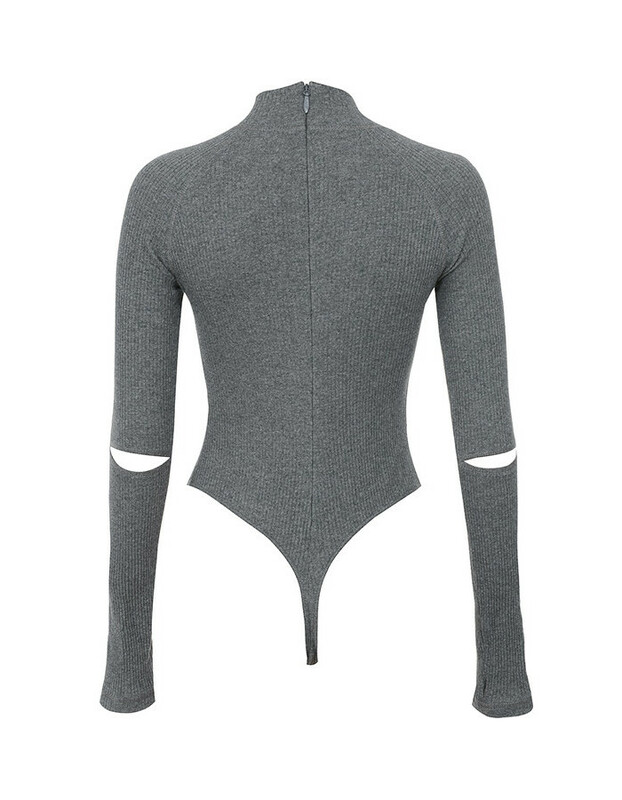 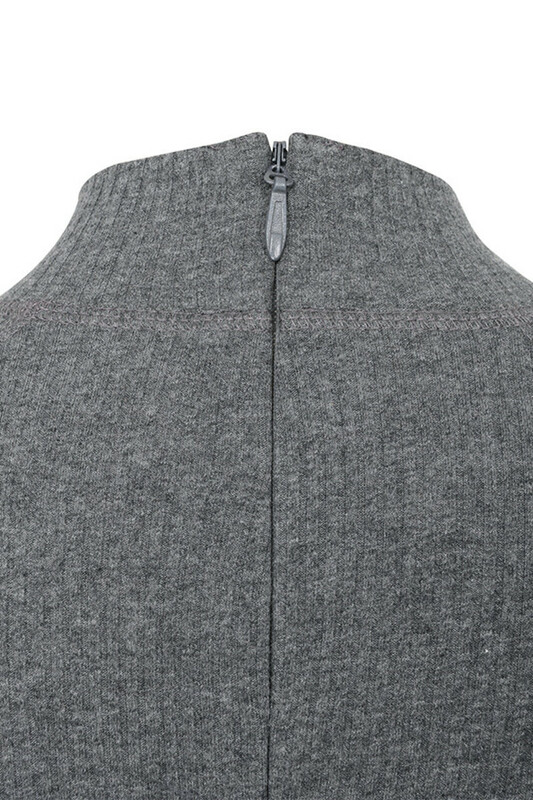 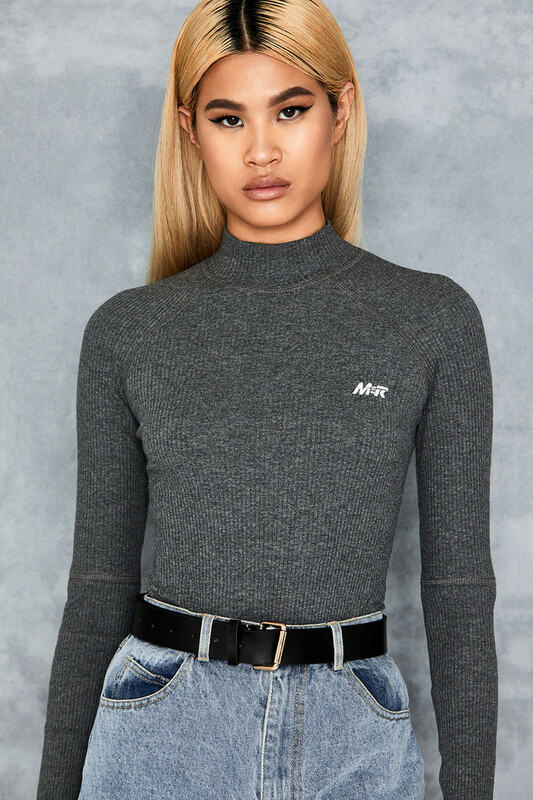 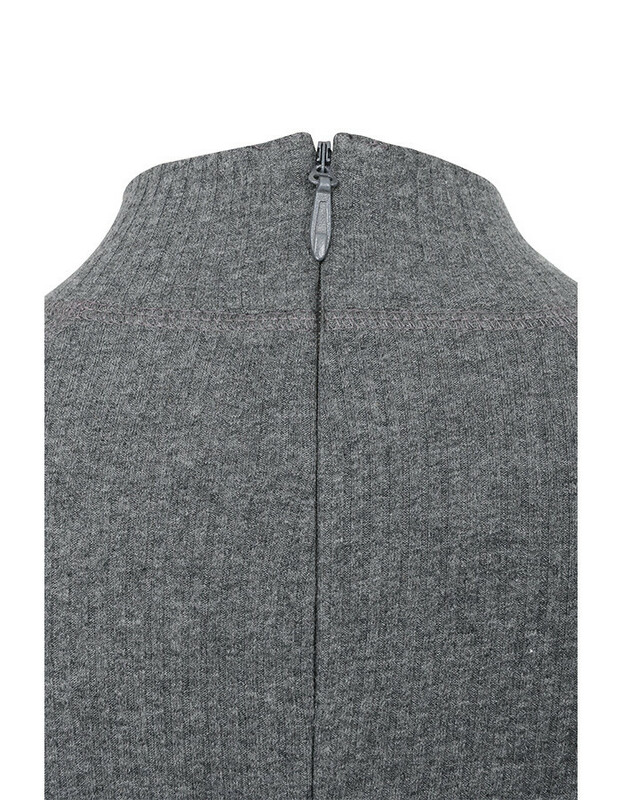 This soft and cosy bodysuit is crafted from a super soft ribbed jersey. 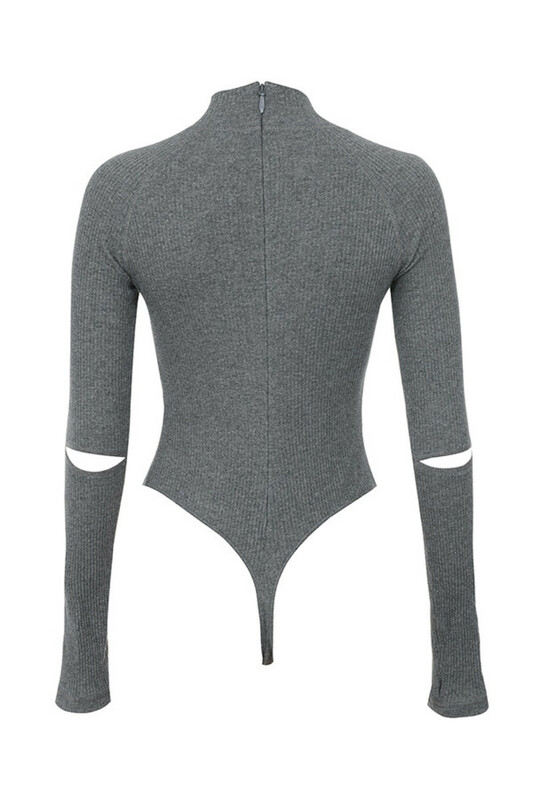 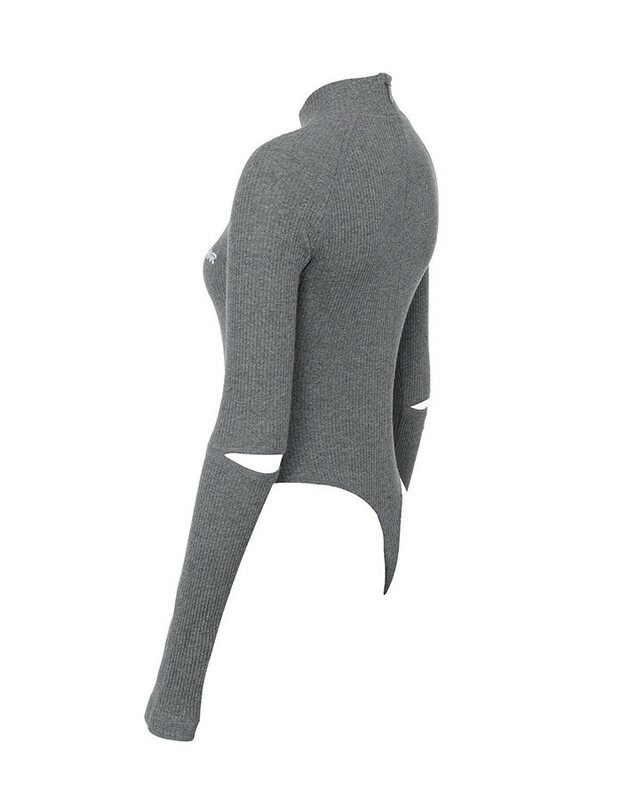 It has a body con fit, high neck and sleeves with elbow slits. 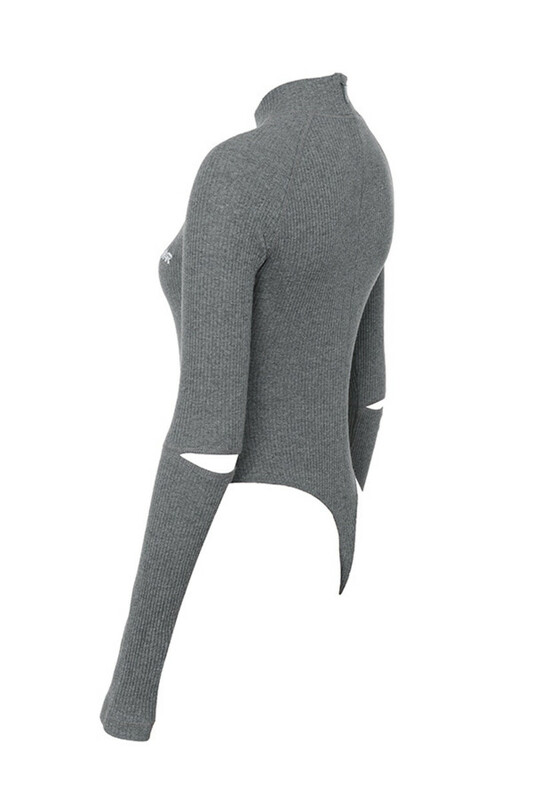 The thong back provides a seam free finish under your clothes. 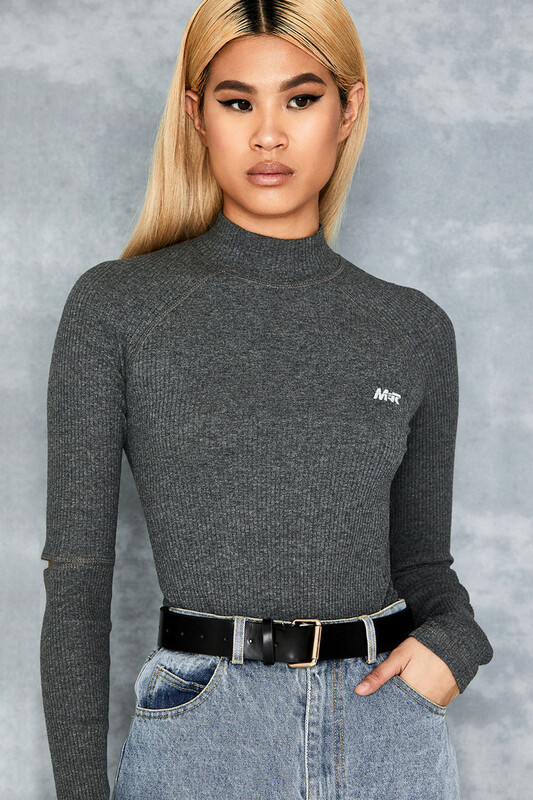 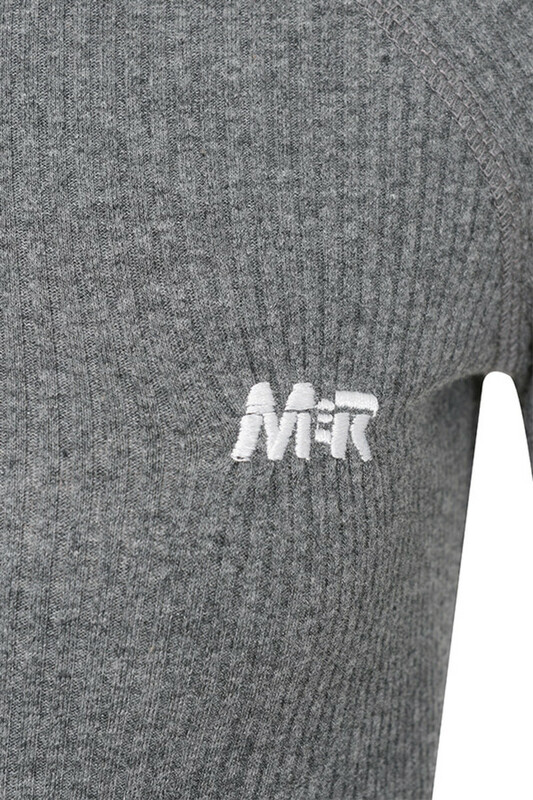 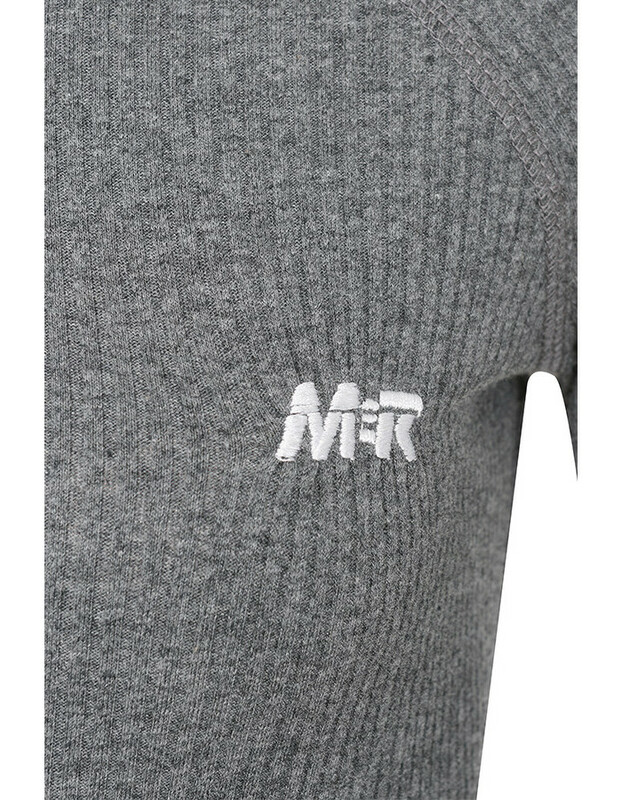 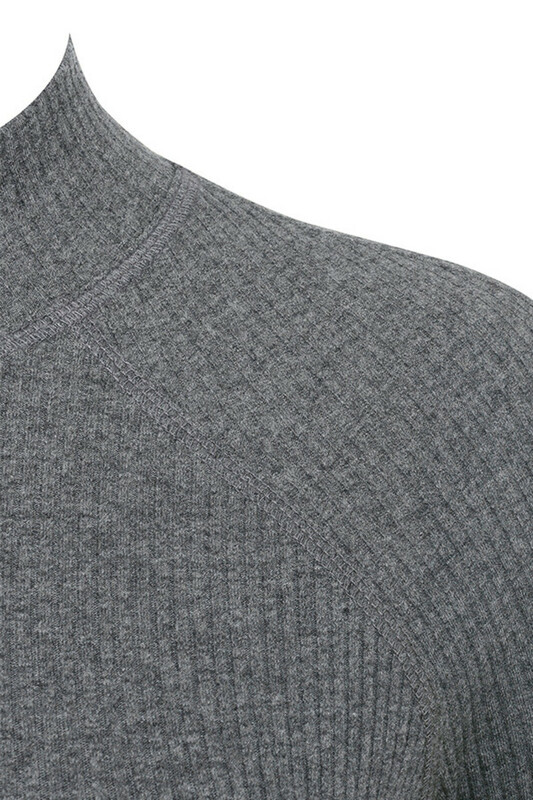 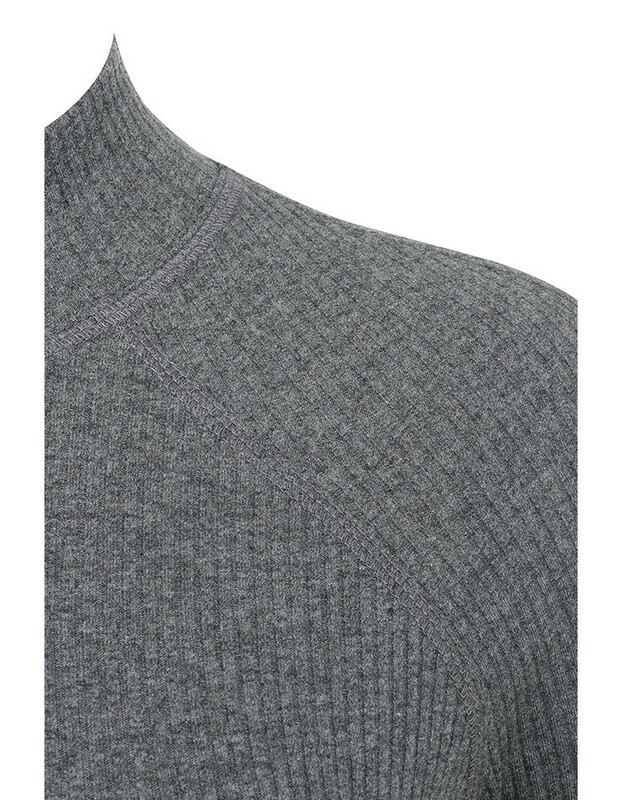 Made from stretch ribbed jersey.